I am in the process of redesigning my master bedroom and incorporating a small work corner for myself. Ahh..a corner to myself! A place for me to create, design, play with little to no interuptions…sounds like heaven. But, back to my Wowza for this week. In designing this new space, I was having fun finding little treasures to help make my new space have character and charm. I came across these on Etsy…now don’t go and buy them all out before I grab one myself. 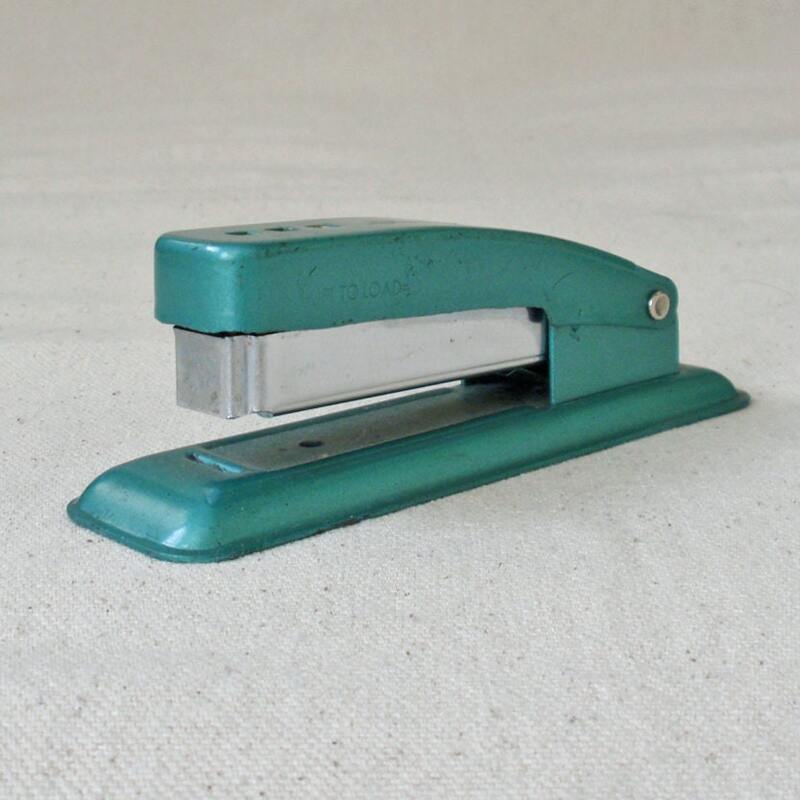 Don’t laugh…yes, my Wowza is a stapler, but I never said a Wowza had to be spectacular…it just has to be something that makes you smile. 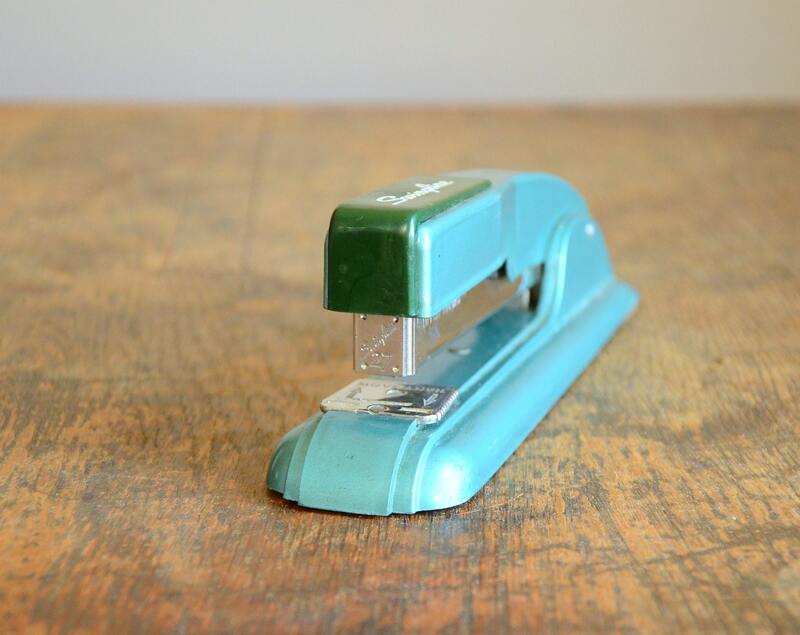 I could just picture my white lacquered desk surface, with a turquoise stapler…made me smile.